Hubert de Givenchy was known for his modern, ladylike styles, which earned him many loyal clients. Now after decades of high fashion design, Givenchy is poised to take on the men's sneaker world. 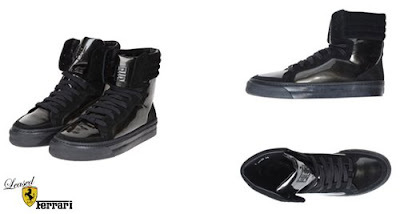 Patent leather and suede set these high-end high-tops apart from the rest. Want a pair, get them at UK retailer, The Corner for a bargain of a price, £ 240.00.